If you are an expat, you are still required to comply with all of the relevant expat tax laws in the United States, which often includes filing an annual return and/or other tax paperwork. Because these laws can be so complicated, and because the penalties for failing to comply are so harsh, many expats wisely choose to entrust their tax preparation needs to a tax professional. This article will help you understand the common filing requirements and recommendations on researching U.S. Tax Professionals. Many expat tax requirements are similar to the requirements applied to all other U.S. taxpayers. However, expats have access to certain deductions and credits that are not available to other taxpayers, making their situation unique. The filing requirements that apply to expats are the same as those that apply to any other U.S. taxpayer. Whether or not you need to file a tax return as an expat will depend on your filing status, age and gross income. Your gross income will include any and all income you receive that isn’t exempt from taxation. This includes income earned both in the U.S. and in other countries. If your gross income exceeds a certain amount, it is a requirement to file an expat tax return. The specific threshold amount depends on your age and your filing status. Although the filing requirements for expats are the same, the way you complete your income tax return will usually be different. If you earn income overseas, you may be able to reduce the amount of your income subject to tax in the US by claiming the foreign earned income exclusion. This exclusion allows you to reduce your annual U.S. taxable income by an amount adjusted annually to account for inflation. The most recent limit on this exclusion was $100,800, but this may change in future tax years. To claim the foreign earned income exclusion, you will need to meet several stringent requirements. Some expats are also able to deduct or exclude some of their foreign housing expenses from their taxable income. A tax professional can help you determine if you qualify for these benefits. Another option available to expats who want to reduce their U.S. tax liabilities is the foreign tax credit. The purpose of this credit is to prevent you from paying taxes on the same income to two different authorities. The foreign tax credit allows you to claim taxes you paid to a foreign country as either an itemized deduction or a direct credit against the taxes you owe in the U.S.
Keep in mind that claiming the foreign earned income exclusion will affect your ability to claim the foreign tax credit. If you have claimed the foreign earned income exclusion, your foreign taxes must be allocated between the income excluded and included when calculating your credit. This process can be confusing for many taxpayers. If you own foreign assets or accounts, you may be required to file additional paperwork with the IRS, such as the Report of Foreign Bank and Financial Accounts (FBAR). You may also be required to file additional paperwork if you have a financial interest in an entity that owns foreign assets or accounts. If you fail to file this paperwork, you may face a variety of penalties, including fines and even prison time. For this reason, understanding these requirements is essential. Even if you are no longer living in the United States, you may still be required to file a state tax return. Whether you are required to complete a state return depends on the requirements in the state where you lived before you moved out of the country. Each state uses its own set of rules to determine whether a taxpayer qualifies as a “resident” of the state for tax purposes. 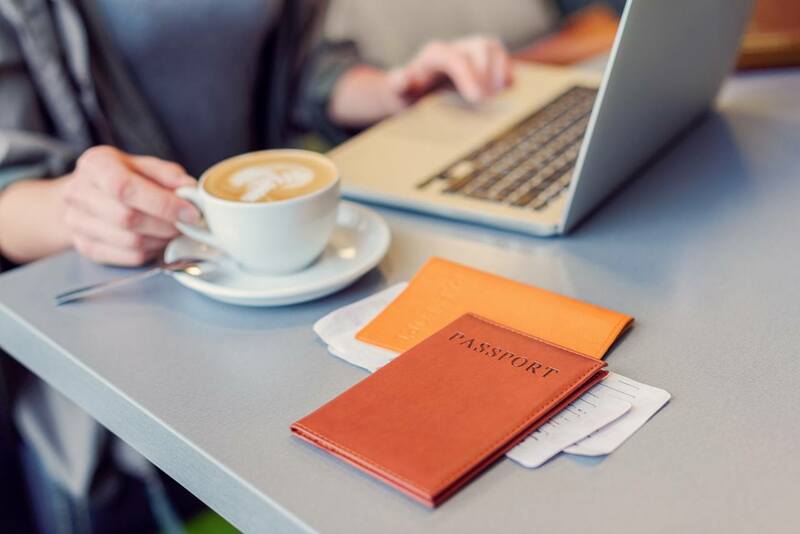 In some cases, these requirements will designate an expat as a resident, even though he or she has been overseas for the entirety of the tax year. U.S. tax law is complicated for all taxpayers, but it can be especially confusing for expats. Expats are often required to file extra forms, and they may have different credits and deductions available. Hiring a qualified U.S. tax professional ensures that you are in compliance with all of the relevant laws. As an expat, maximizing your tax benefits usually involves a careful analysis and comparison of the deductions and credits available. For example, some expats may benefit more from excluding as much income as possible, even if it means losing a portion of their foreign tax credit. On the other hand, other taxpayers may benefit more from claiming the full amount of the foreign tax credit instead. A U.S. tax professional can analyze every detail of your situation. They can also help you choose the strategy that works best for you. In many cases, the choices you make during the year with regard to your finances will have an effect on your future tax liabilities. A U.S. tax professional who has experience with expat taxes can help you decide what changes you should make in order to minimize your tax liabilities for future tax years. Having a U.S. tax professional you can trust also provides you with peace of mind. Taxes are a huge source of concern for many people, especially those living overseas. However, when you know that a professional is handling all of your tax needs, you no longer need to worry about this issue. Failing to comply with your tax requirements can lead to severe penalties. Because expats often face more requirements than other taxpayers, they may also be at risk of facing more significant penalties. You may face penalties if you fail to file your return on time, fail to pay the tax that you owe, file a return inaccurately or fail to file informational forms related to foreign assets or accounts. Depending on the situation, the consequences may include interest, civil penalties, criminal fines and/or time in prison. Tax legislation is always changing, and these changes often impact your tax filing requirements. If you try to file your taxes on your own, it is your responsibility to keep up with all of these new developments. This also means complying with any new regulations that apply to you. However, you won’t have to worry about staying up-to-date on changes to the law if you work with a professional. Even if you understand tax law well, preparing your own taxes is time-consuming. When you hire a tax professional, you can delegate this task to someone else and use your own time for more important things. Hiring a qualified U.S. tax professional offers many benefits, but you won’t gain these benefits unless you hire the right professional. Some individuals or companies that claim to offer tax services to expats aren’t reputable, and you may find yourself paying more taxes than you owe or missing out on important tax benefits. In the worst cases, hiring an unscrupulous or poorly qualified tax preparer can even lead to trouble with the IRS. Here are some tips to help you find the right US tax professional to help you with your expat tax return. Having a tax professional who is qualified to complete your return accurately is essential. Some individuals or companies may advertise that they have the knowledge or expertise to handle your needs, but they may not be properly trained. This can lead to inaccurate returns, increased liabilities, IRS penalties and other issues. Before you work with any tax professional, ask to see proof of the preparer’s qualifications. 2. Look for a tax preparer that has knowledge about expat tax returns. Whether you are an expat or someone living in the United States, you need a knowledgeable tax preparer. However, as an expat, it is especially important to make sure that your tax preparer understands the unique requirements, credits, exclusions and deductions that apply to expats. If possible, look for U.S. tax professionals that specialize in expat services. 3. Research the U.S. Tax Professionals reputation. One of the most important considerations when choosing a tax professional is their reputation. If a tax professional has a reputation for completing accurate work and providing a good quality of customer service, you can be reasonably confident that your experience will be positive as well. To learn about a tax professional’s reputation, you can read online reviews and testimonials from past clients. 4. Ask for a price quote. All U.S. Tax Professionals will charge for the services they provide, but these fees vary. Ask the tax professionals you are considering to provide you with a price quote for the services you need. Keep in mind that choosing the tax professional who offers the lowest price is not always the best strategy. It is important to consider all characteristics of the tax professional’s services so you can be sure you are getting the best quality of service for an affordable price. 5. Ask about the U.S. Tax Professionals availability. Making sure you have a tax professional who will be available when you need assistance is very important. This is especially true if you have a complex tax situation. Some tax professionals only provide their services during tax filing season. This means they won’t be available to help you if something comes up during another part of the year. Ask the tax professional you are considering whether you will have access to their services after your taxes have been filed. 6. Ask about supportive services. The best tax professionals offer supportive services to their clients, such as assistance during an audit. If these extra services interest you, look for a tax professional who offers them. 7. Ask about any specialized services you may need. As an expat, you may need certain specialized services. This is especially the case if you were previously unaware of all of your reporting obligations, or if you have trusted unscrupulous U.S. Tax Professionals in the past. For example, if you fail to file income tax returns when you are required to do so, you may now be facing the possibility of serious penalties. In such cases, you need to consult a tax professional who has experience with the specific issue you face. Inquire about these specialized services before you choose to work with any tax professional. 8. Ask about the U.S. Tax Professionals guarantees. When you hire a tax professional to handle your tax needs, you are trusting that the professional you choose understands tax law and will complete all of your paperwork accurately. If the tax professional makes a mistake, however, you may face penalties from the IRS. Ask your tax professional if a guarantee of their work is available. Such guarantees usually require the tax professional to handle any penalties or interests you owe because of an error the professional made. However, keep in mind that this guarantee won’t apply to any errors made if you don’t provide the professional with the proper information needed to complete your paperwork accurately. 9. Analyze your options carefully. If you are researching U.S. Tax Professionals, review all of your options carefully to make the right decision. Remember to consider all characteristics, including price, credentials, the areas of expertise, specialized services and reputation. Hiring a qualified tax professional is better than hiring a poorly trained one that costs less. In the long run, hiring the wrong tax professional could end up costing you money in extra taxes or penalties. An initial low price for a U.S. Tax Professionals services may not always benefit you the most.